We are having our annual Christmas Banquet at the Jonesboro Community Center, Bring food if you are able to, if not it is okay! The more, the merrier!! If you are bringing food, please come a half hour earlier. There will be games, music, food, and fellowship!! Can’t wait to see y’all!! We are excited to announce that we will be having our Annual Trunk or Treat again this year! There will be hay rides, hot dogs, games, & prizes! We are now accepting donations (candy & prizes), seeking volunteers, and accepting trunk reservations. The deadline to reserve your trunk a spot is October 28th. Please Contact Holly Guiterrez to reserve a spot so we don't have duplicate trunks. Please no scary trunks. For information on how to reserve a spot or if you have any questions about the event please feel free to contact us! You will need to be at the church by 4pm to start set up, unless you feel you need longer, then feel free to go earlier! Our Women's group is having a tea party in Gatesville! A selection of scone, sandwiches, desserts, and hot tea will be served! 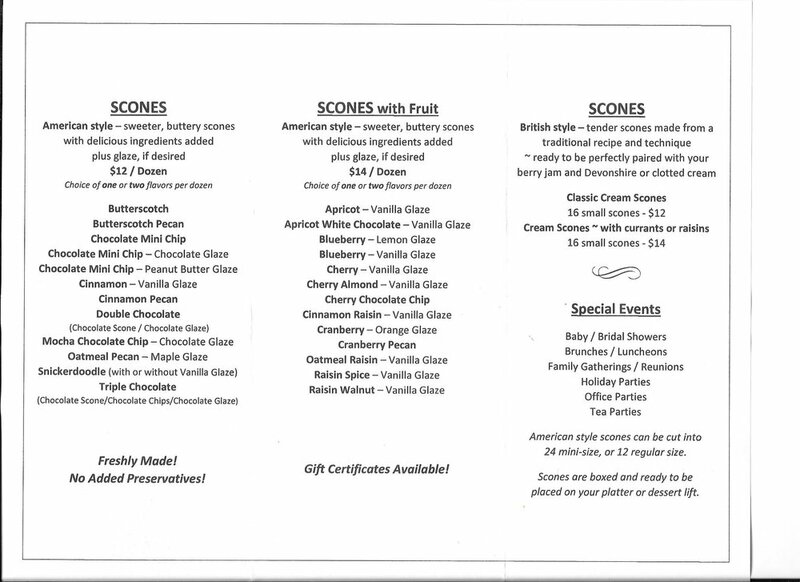 Scone orders available until April 19th, 15 spots open! We will meet at the church at 12:15 and carpool. .Dress comfortably - casual or dressy, you may wear your favorite hat if you desire. Women of Hope 365 is putting on a sandwich luncheon after the first service on December 3rd. They will be serving sandwiches, chips, dessert, and drink. Plates are $5 and all proceeds will go to supplying Christmas gifts for the children of the Hope House guys!